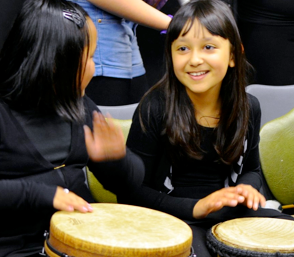 RhythmZone delivers engaging and educational sessions for all age groups and abilities. Our session leaders focus on the development of technique, group awareness and musical literacy. We can also provide drums at low prices and lead CPD for your staff. Send your children to explore our online Kids Area where they can start making music straight away. Schools in Reading - we can run weekly whole class music and after school clubs at your school. 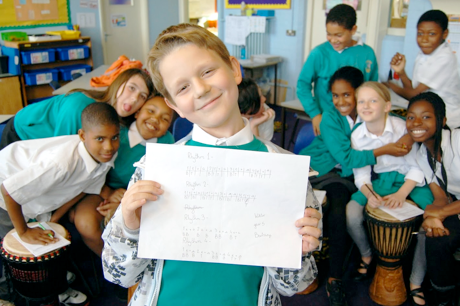 We also lead the BeatSwap project for Yr 5/6 children in Reading. Make an enquiry now.